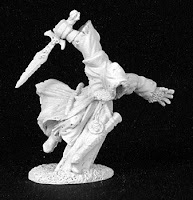 Brush Wizard: Frostgrave: Delving into Another Wargame. The ancient city of Felstrad has been buried in a centuries long blizzard, freezing everything in the city in an instant due to a magical spell or experiment gone awry. Now, the effects of the spell have worn off and the city is beginning to thaw, revealing its treasures and dangers. 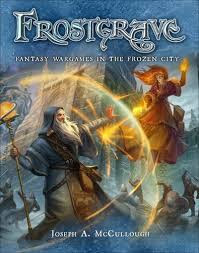 It's been given a new name, Frostgrave. Now warbands of adventurers, lead by powerful wizards, are delving into the ruins of the once great city. But it's dangerous in Frostgrave and warbands fight each other for loot and monsters who have taken up residence in the ruins. The best part about Frostgrave? You don't need to buy codexes, cards or even brand specific minis in order to play. All the rules are in the one rulebook. Each player has a Wizard, which can be a member of 1 of 10 schools of magic. They then begin the game with a selection of spells, based on their school, aligned schools and neutral schools. Then player builds a warband out of a list of 15 different types of soldiers. Each of these soldiers have different hiring costs, equipment they use and ability scores. But, unlike games such as Warhammer: Age of Sigmar or Warmahordes. All these soldiers are the same, regardless of who they serve. That being said, thanks to the ability to use any line of miniatures you want to build your warband, this game has been causing creative juices to flow in the #warmongers community. The main way it is happening is based off of different themes, such as their wizard school choice. 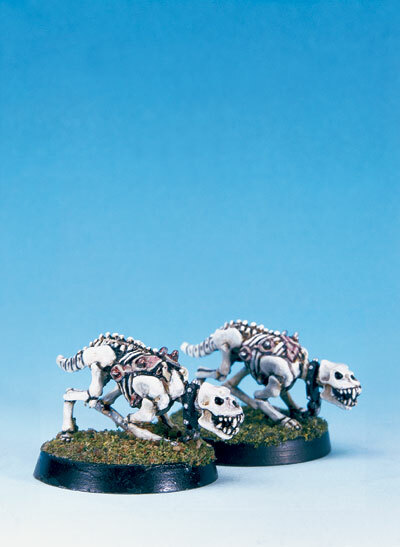 Another has been by using Reaper's mouseling miniatures for ultra-cute mouse warbands. Me? I'm building a Necromancer based warband using vampires and various types of undead. I'll be using mostly Reaper Miniatures for it, except for my War Hound which will be an old D&D 3.0 metal mini. 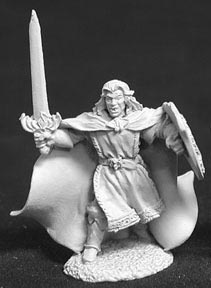 I've built a list for a warband already and have begun digging through my miniatures to find ones that'll work. So far, I've got my Wizard, War Hound, Archers, and Infantryman settled using minis from my collection. 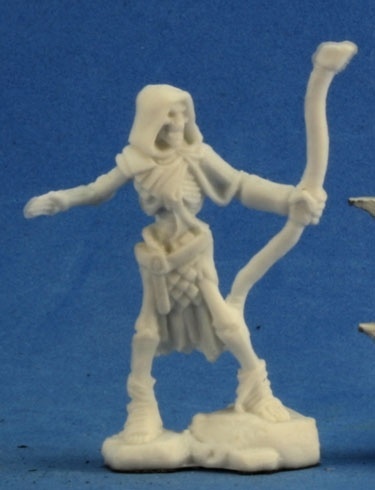 But I need a few more minis from Reaper to finish off my list. 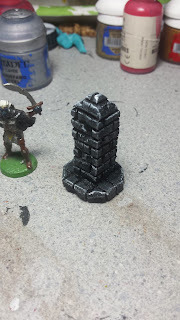 Frostgrave has also given me the bug to start working on actual terrain pieces and upping my scenery building skills. I've made list of all the terrain needed to run the scenarios in the book and have brainstormed a few more as well. Before my book even arrived, I sculpted a brickwork post out of pink foam. It was a fun excercise and I do plan on using it, but it needs some snow on it to finish it off. statue to a great warrior or leader of Felstraad. I drew a rough sketch of it, but never took a picture of it. 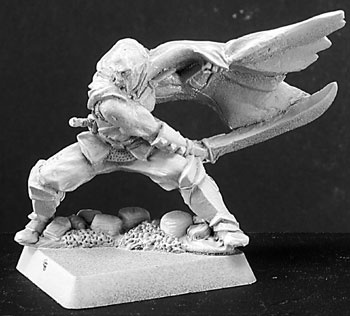 But it will use a really nice Reaper mini for the statue. Originally I had planned on a stone statue, but Jeff Tibbetts suggested bronze and I looove that idea. I'll need to go find some suitable base for him though. He needs to be standing on something that looks like it would be a fit for a great sculpture, while also being heavy enough too not end up top heavy. Finally another piece I designed was a fountain for the Fountain of Dreams and Sorrows scenario. 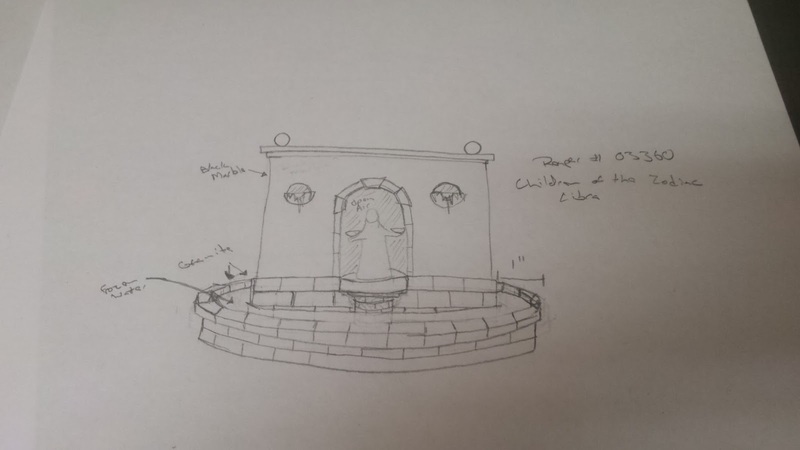 I wanted it to be an ornate fountain and feature a statue. I searched through my Bones collection for a suitable mini, but couldn't find anything I liked. So to Reaper's site I went and did some searching. 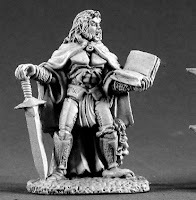 After a bit of looking I found a nice mini based on the Libra zodiac. It seemed to fit the idea well. The idea is to make the water inside look like it was frozen and slowly thawing. For that I figure the best idea is to use crackle paint over water effects. Then paint the crackle paint around the edges and center. I haven't nailed it down yet though. But anyway, welcome to my new addiction. 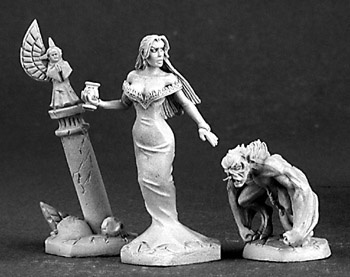 I have all the minis I need sorted and should be starting on painting those up soon. 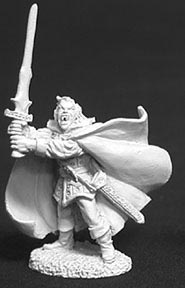 But I need to strip a few of them and replace the sword on Gabriel Darkblood, as it broke off in storage. 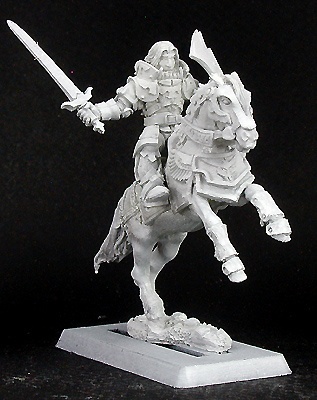 I'll also be picking up some foam board this weekend to start crafting my plinth for the horseman statue and the fountain. Interesting premise for a game , one I'm looking forward to learning more about now ! Liking the brick work sculpting , what did you use to sculpt pink foam ? Been using some basic foam tools but the detail doesn't come out to my liking . The brick works was just my x-acto blade cutting lines. I'd start on an angle from one direction and then follow that line from the opposite side to make the bevel. Super easy!